Now that Christmas is over and 2013 has finally arrived, a lot of us are thinking about how to tackle that dreaded ‘spring clean’. However, everyone knows that despite all your good intentions, what the phrase spring clean actually comes to mean is ‘the time when the attic and garage become a lot fuller’. This year we want to help you sort out your clutter once and for all, so rather than just moving it all around you actually get rid of some of it and feel like you’ve achieved something. Below are 5 tips on how to start the mammoth task of sorting out your possessions, and how to succeed. If you have a family, or live in a shared house, then the most important thing to remember is that the things in your house do not actually all belong to you, so get ask everyone else to get involved! However, this probably won’t be high on your family’s agenda, so try and encourage everyone to conquer the clutter in one day so you can do something enjoyable at the end of it. People are far more likely to help if there is an incentive involved! Somewhere inside every attic is a box (or possibly several boxes) of items that no longer work. Inside could be that stereo you never got round to taking to the tip or a selection of well-loved (but also well-used) toys you weren’t allowed to throw out. Try and go through some of these piles of useless items and decide what you need to keep and what can go in the bin. If these boxes contain broken toys then it might be best to ask your children to help, but if they refuse then it is up to you to make the deep cuts! Following on from the last point, make sure you sort through the ‘rubbish’ carefully to see where it needs to go. If you have old electrical equipment then dispose of it at a large tip, as they will have specific areas for electrical goods. With any clothes or toys that are in reasonable condition consider taking them to your local charity shop or find a nearby charity bin. 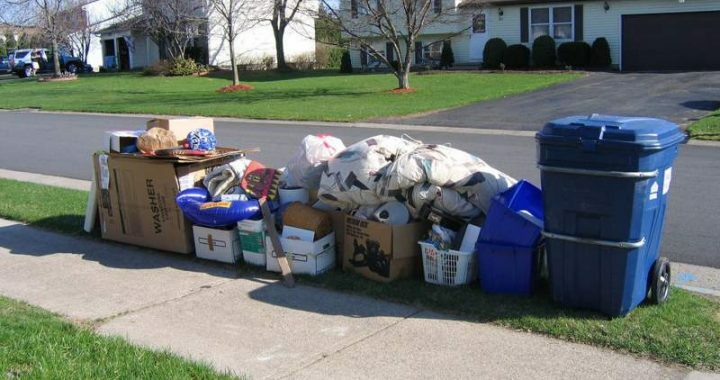 You’ll feel much better if you sort through things rather than just sending them to the landfill! One of the most important things to have in a busy household is enough storage, as that way you can quickly hide all the mess if anyone comes round unexpectedly! Consider investing in some furniture that doubles up as storage space, such as a hollow footrest or wooden boxes that slide under the bed. Ikea have got some great storage solutions and with their winter sale on at the moment, their prices won’t break the bank! If none of these tips help, then you can always take the easy way out by storing all the clutter you can’t bear to throw away with us. With storage starting as low as £5 a week, you can afford to leave it with us until your ‘summer clean’!